The Greek word “apnea” literally means “without breath.” Sleep apnea is an involuntary cessation of breathing that occurs while the patient is asleep. There are three types of sleep apnea: obstructive, central, and mixed. Of the three, obstructive sleep apnea, often called OSA for short, is the most common. Despite the difference in the root cause of each type, in all three, people with untreated sleep apnea stop breathing repeatedly during their sleep, sometimes hundreds of times during the night and often for a minute or longer. In most cases the sleeper is unaware of these breath stoppages because they don’t trigger a full awakening. Sleep apnea is seen more frequently among men than among women, particularly African-American and Hispanic men. A major symptom is extremely loud snoring, sometimes so loud that bed partners find it intolerable. Other indications that sleep apnea may be present are obesity, persistent daytime sleepiness, bouts of awakening out of breath during the night, and frequently waking in the morning with a dry mouth or a headache. But none of these symptoms is always present. Only a sleep study in a sleep laboratory or a home sleep study can show definitively that sleep apnea is present and how severe it is. Obstructive sleep apnea is caused by a blockage of the airway, usually when the soft tissue in the rear of the throat collapses and closes during sleep. In central sleep apnea, the airway is not blocked but the brain fails to signal the muscles to breathe. Mixed sleep apnea, as the name implies, is a combination of the two. With each apnea event, the brain rouses the sleeper, usually only partially, to signal breathing to resume. As a result, the patient’s sleep is extremely fragmented and of poor quality.Sleep apnea is very common, as common as type 2 diabetes. It affects more than 18 million Americans, according to the National Sleep Foundation. Risk factors include being male, overweight, and over the age of 40, but sleep apnea can strike anyone at any age, even children. 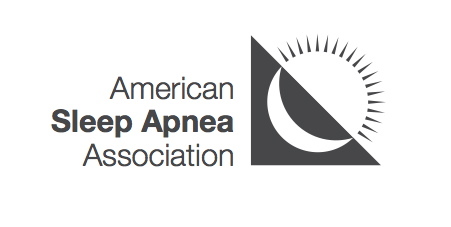 Yet still because of the lack of awareness by the public and health care professionals, the vast majority of sleep apnea patients remain undiagnosed and therefore untreated, despite the fact that this serious disorder can have significant consequences. Untreated, sleep apnea can cause high blood pressure and other cardiovascular disease, memory problems, weight gain, impotence, and headaches. Moreover, untreated sleep apnea may be responsible for job impairment and motor vehicle crashes. Fortunately, sleep apnea can be diagnosed and treated. Several treatment options exist, and research into additional options continues.